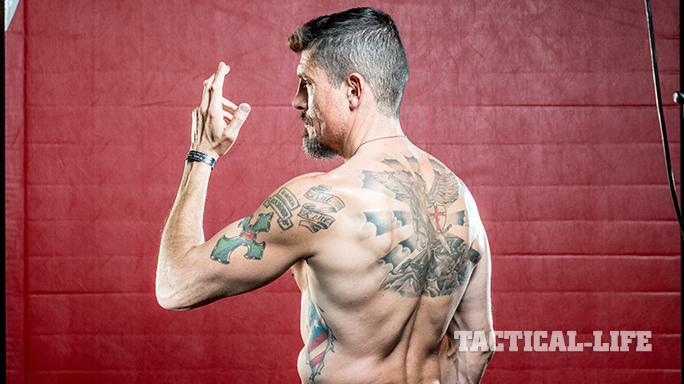 Kris Paronto and his signature American flag tattoo. 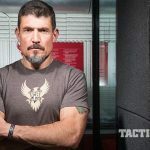 A former Ranger and private security contractor, Kris Paronto has served in various hostile territories worldwide, including Afghanistan and Libya (pictured), where he was a member of the CIA Annex security team in Benghazi. 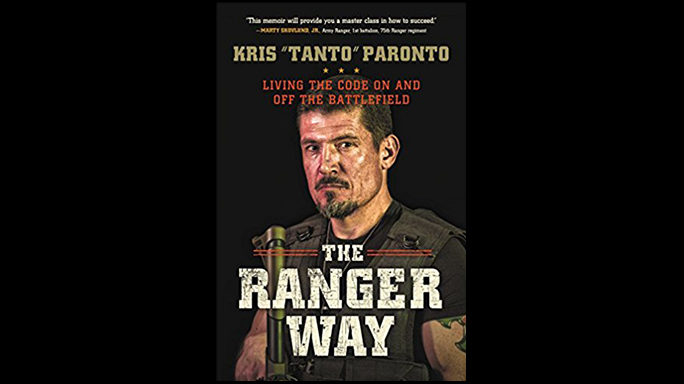 While 13 Hours focuses on the firsthand accounts of what happened in Benghazi, Tanto’s new book The Ranger Way is about moving forward in life with tools he’s picked up along the way. 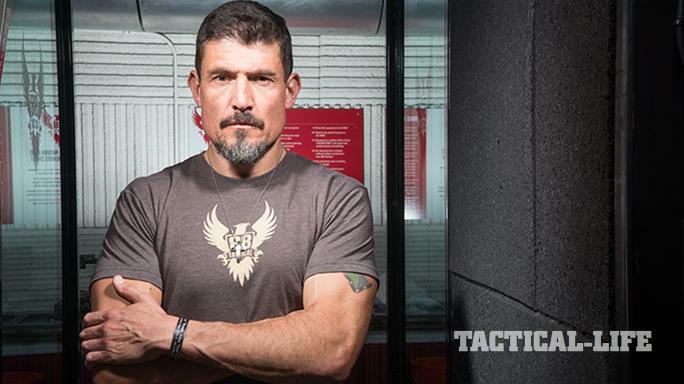 The events of September 11, 2012, in Benghazi, Libya, took the life of Kris Paronto — a.k.a. 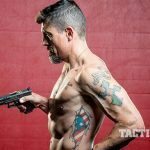 “Tanto” — from the most austere and non-permissive environments to the center of a worldwide political controversy and ultimately onto the silver screen. On that fateful night, known to most Americans as simply the Benghazi attack, an Ansar al-Sharia-backed Libyan ambush took the lives of American ambassador Chris Stevens, information officer Chris Smith and two CIA operatives — Glen Doherty and Tyrone Woods. Meanwhile, hearing the calls for support from Benghazi, former Navy SEAL Doherty and two Joint Special Operations Command operators commandeered a plane from Tripoli and arrived at the Annex. They were again attacked with small arms, rockets and mortars. During the attack, Woods and Doherty were killed by mortars that struck the rooftop they were defending. Stevens and Smith died of smoke inhalation at the TMF after the attackers set the building on fire but before the GRS team arrived. The composite force of American operators at the Annex held off the second attack until morning. 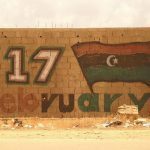 With the help of friendly Qaddafi-backed militia, they moved the staff via vehicle convoy to the Benina International Airport. From there they were flown to Tripoli and then Ramstein Air Base in Germany. Ultimately, the actions of the GRS team and CIA operatives saved the lives of the almost 30-member State Department and CIA station staff. 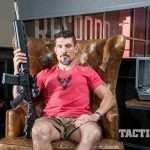 In the swirl of misinformation and election-year politics that followed, Kris Paronto has made his voice heard. He has been an un-spun firsthand account of those events. He has appeared on national news programs and before congressional hearings. 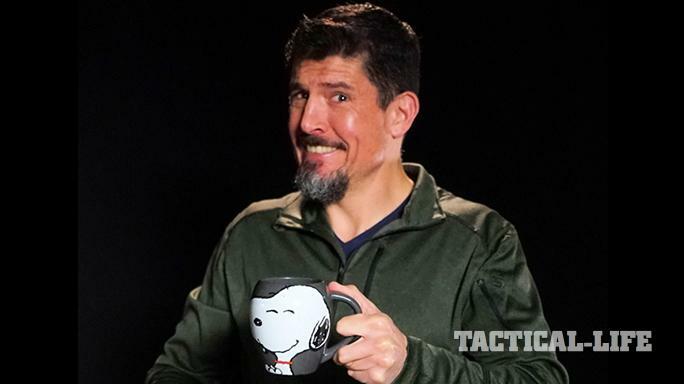 We caught up with Kris Paronto to get his thoughts on life after Hollywood, the 2016 election and what he has learned since his time in Benghazi. 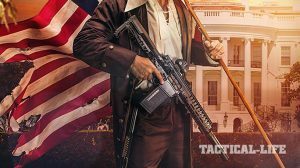 Ballistic: In light of the controversy around the State Department’s handling of the Benghazi incident, what were your feelings upon learning of Hillary Clinton’s defeat? 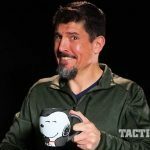 Kris Paronto: Though I have spoken in front of some pro-Trump crowds, I am not partisan. I was happy to see her defeated, but for me it was Charlie-Mike [continue mission]. It is more important that my message gets out than being associated with a particular political party. I’ll use my public voice to hold President Trump just as accountable as Clinton. Let’s focus on your extensive time in the hot zones around the world. What do you see as the most significant national security issues we face today? ISIS is a legitimate threat to our national safety. They are as serious and organized as al-Zarqawi’s Al-Qaeda was in Iraq. Unfortunately, they evolved to the point where they are using our altruistic nature against us. Social media, refugees, women and children are not off-limits for them in the furthering of their agenda. We have to put safety first and remove the politics from our approach to the problem. We’re now dealing with an eight-year blister that was treated with a Band-Aid. Now it’s festered to the point where a painful lancing is necessary to ultimately heal. 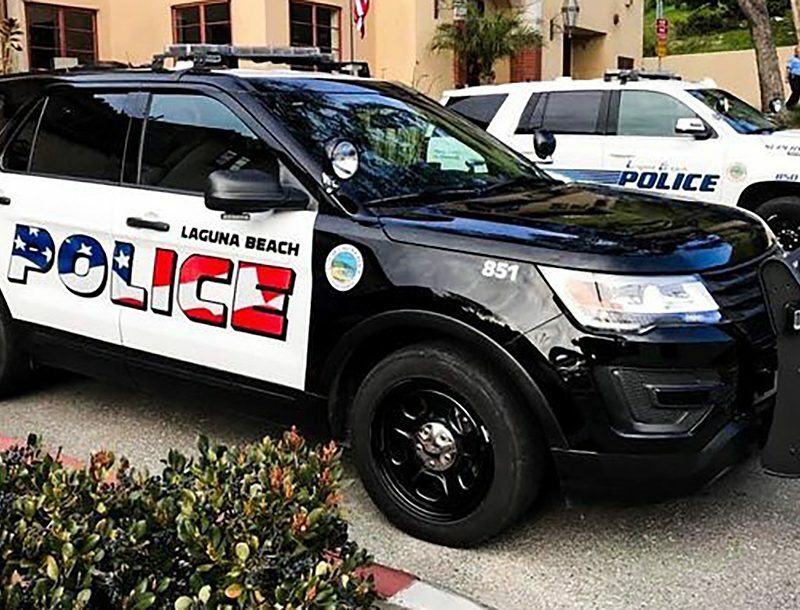 We are reaping the consequences of those in the West who dealt with the issues behind a veil of willful ignorance of “If it didn’t happen to me, it didn’t happen.” The Boston Marathon bombing and Orlando nightclub and San Bernardino shootings are just a few examples. Refugees from that region have become a hot-button issue. What is your view on this controversy? 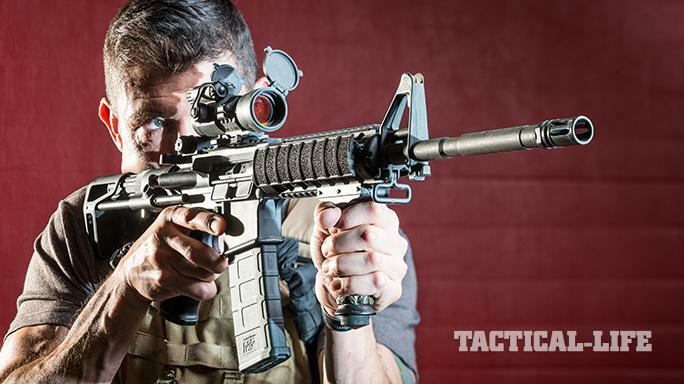 Do you have any thoughts on how we can keep ourselves safe while protecting Americans? Most all of the Muslims I have worked with over the years just want to have peaceful and ordinary lives. The majority of them live in as much, if not greater fear of terrorism than we do and support our efforts. This support gets complicated when collateral damage from our attacks kills or injures civilians. What most people don’t realize is that days after the attack, tens of thousands of Libyans protested in Benghazi against the attackers and the violence in the name of Islam. 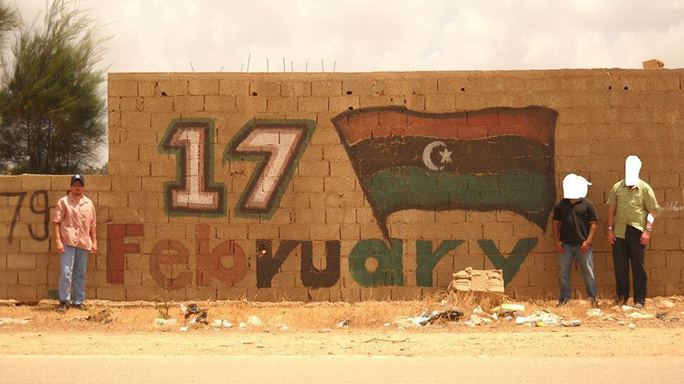 At that time, there was significant support for the American effort there in Libya against both Qaddafi and ISIS. I think the temporary ban on refugees from hostile countries is necessary. However, we have to have a plan—a smarter plan—to determine who we let into the country. I support fast-tracking visas for the interpreters (“terps”) we used in the respective countries to work as the primary tools to vet refugees. The majority of these terps already have security clearances. Their experience and cultural familiarity enables them to sniff out frauds much more efficiently. For example, we had one terp who stopped no fewer than three car bombs. His ability to read the intentions and cultural nuances of those we encountered saved the lives of dozens. Ultimately, we have to have a dual approach. First, we have to involve the peaceful Muslim community to unite against terrorism. They are going to be the first to know of potential problems. We need them to feel like they are part of the solution. Second, we have to put fear back into the hearts of the terrorists. I was glad to see some of the recent JSOC raids being turned up and their successes. Of course, it’s sad to see us take casualties, but that’s what the job requires. There is no reasoning with these radicals. You have to put fear in their hearts. You have to constantly remind them of the consequences of attacking Americans and keep them disrupted and on the run. 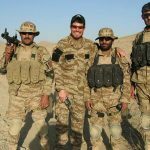 What have you learned during your career both in the Rangers and GRS that the average American could use to keep themselves and their families safe? 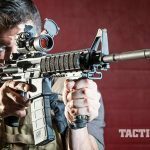 What EDC preferences do you have and how does it differ from your kit overseas? The best thing any person can do, whether in the U.S. or overseas, is to be aware of your surroundings. So many people these days have their heads down into some form of tech and are not aware of what is in front of them, much less to the sides or behind. Take a moment to lift your head and your attention, and take in what is happening around you. One element that is overlooked is to try when possible to blend in. For example, looking too tactical was a dead giveaway for security operators. Eventually, we wore jeans and shirts bought at local markets. If our shoes, jackets or hats looked too American, we stood out. Just avoiding potential problems is most often the best solution. If you are blending in without flashy jewelry or tech, you are less likely to get noticed by someone trying to take advantage of you. If you find yourself being watched, notice but don’t focus on the target. This can often make them nervous and elicit a response. Calmly move out of the area or change direction. Getting into a confrontation is the last resort. Most of our weapons were low-profile in nature. 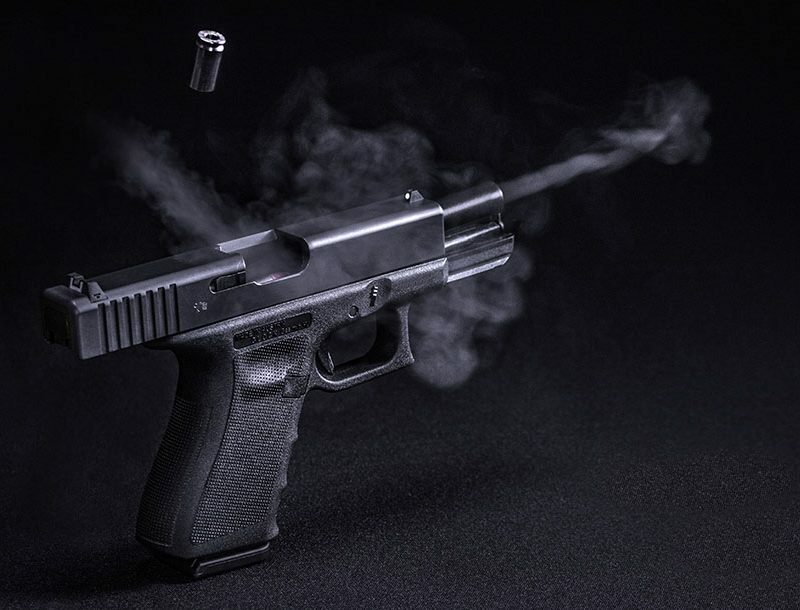 I’ll not comment on specifics, but most of us chose a Glock 17 or 19 equivalent. Depending on the individual’s physiology and the specific mission, a longer or shorter barrel might be chosen. Some missions called for body armor, others not. 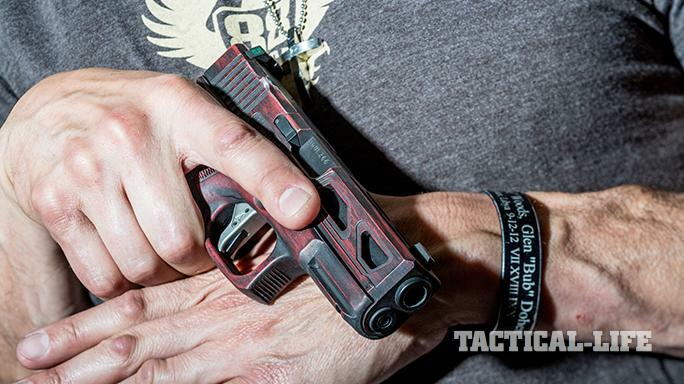 Sometimes, smaller, more compact pistols were added to our setups. 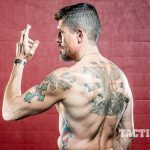 My holsters were inside-the-waistband rigs made from leather or Kydex—sometimes a combination of both. Domestically, it’s less important to focus on the specific make or model. Choose a setup that works for you and your daily life. 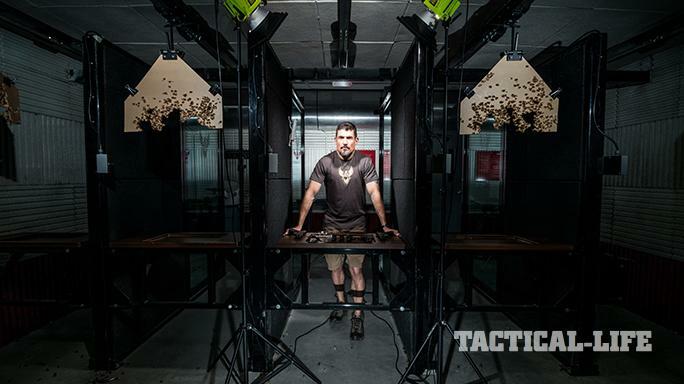 Training is absolutely critical for self-defense. 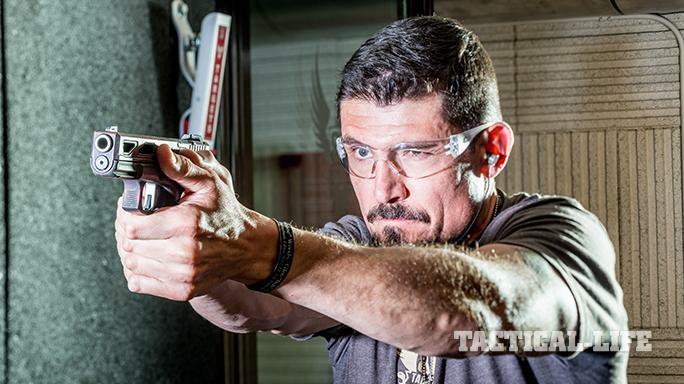 Under stress, you are always going to resort to your highest level of training. 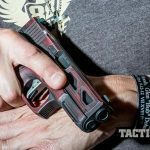 Just going out and purchasing a firearm will be of little help if you don’t have the repetition and stress induced by good training. Since “13 Hours,” you have received a great deal of public attention and now have a book coming out. How did that come about and what can a reader expect to learn? I am not a writer by nature, so it was helpful to have a co-writer involved who dug deeper into some of the things I wanted to stay shallow on. Ultimately, it was harder than my work on the book “13 Hours” because it was all personal and required a great deal of reflection. The question I asked myself was the same as getting involved in the “13 Hours” project: “Is this worth it? Is this a story that will benefit other people by being told?” The answer to both was “yes,” so I moved forward. 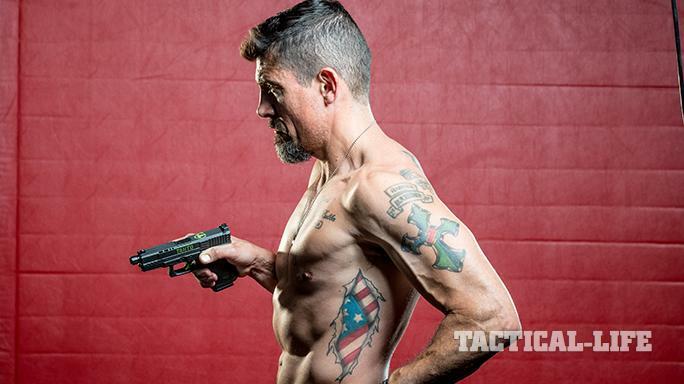 “The Ranger Way” is about how to adapt and overcome. Many of us, particularly young men, don’t immediately have a direction in life or get ourselves into situations or circumstances we have to work our way out of. 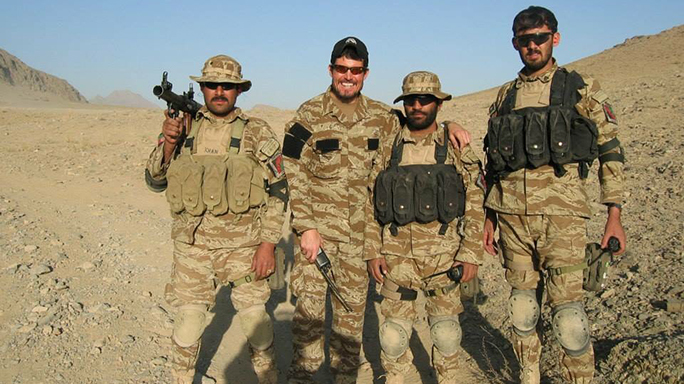 The book is more about a Phase 2 of lessons learned during my time in the Rangers and overseas. It’s about how to move forward in life with faith. I am a Christian, and my faith is important to me. I want people to be able to talk about God and their faith without feeling criticized. We have a right to freedom of religion in this country. People should not be made to feel like they have to hide that. The book is not an autobiography. It’s a motivational book about the challenges I have faced in life and how my time as a Ranger and my faith have brought me to a better place in life and made me a better husband and father. Other than the book, how are you spending your time? Most of my time is spent traveling between public speaking engagements. I gave more than 200 speeches last year. In 2017, I’ll be combining the speaking events with the book tour. 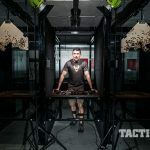 Also, “Boon” [from the Benghazi GRS team] has a mobile training company to teach firearms and tactics along with the lessons we learned downrange. So, I’ll be working with him as well. 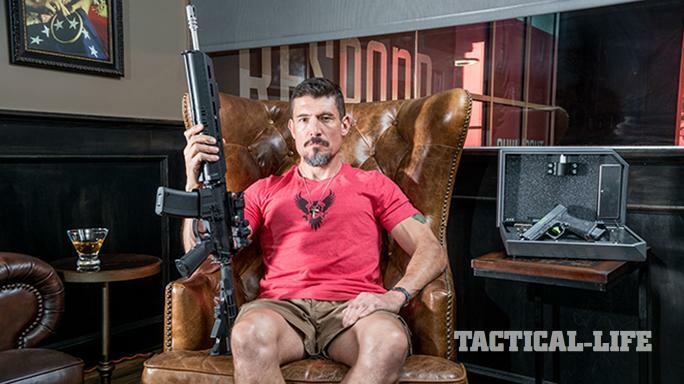 Finally, given your military career, your now very public life and your view of politics, what is Kris Paronto’s message to others out there? How has your point of view evolved? I have been so blessed to have experienced so much up to this point in my life. Yes, my life has vastly changed over the past three years, but it has led me to experience things and meet people that I may not have met if 9/11/12 hadn’t taken place and the team hadn’t done the right thing by telling the truth. Not all the experiences before and after the attack have been pleasant—in fact, some have been downright miserable and emotionally draining—but they are still experiences. So, when I’m older and grayer, I can say that I tried. I can say I fought through and did not let fear of the unknown hold me back. I can say with all certainty that I’ll never have regrets! My view on politics is different now after 9/11/12 since I have seen that the majority of our politicians care more about themselves than others. There needs to be a major overhaul of our broken political system with many of the old-guard congressmen and women being put out to pasture. I do see hope in the future, though, since our new president isn’t a politician. I want to go even further by saying that combat veterans, particularly NCOs [non-commissioned officers], need to get involved in politics and run for office. We would see even more positive change then. Our country would become even more patriotic with values not seen in D.C.—honor, integrity, courage and selfless service—if we had more NCOs in political positions. Lastly, I want to say thank you to all of those who have served in the military, as well as security contractors, law enforcement officers and first responders. You all are heroes to me. You are not given the praise and accolades you deserve, even though none of you expect it. I am so lucky to be mentioned in the same breath as you all. And to the 75th Ranger Regiment, thank you for giving me the opportunity to learn, fail and succeed with the help of amazing men and leaders. Be ever thankful for getting the opportunity to wake up and see the stars and stripes every morning and be free. 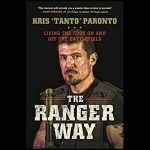 Tanto’s book, “The Ranger Way: Life Lessons from Kris Paronto,” is currently available on websites like amazon.com and barnesandnoble.com. 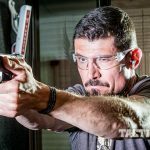 For more information on Kris Paronto, visit kristantoparonto.com.